Farhan Akthar's latest SUV is Jeep Compass' BIG brother! Farhan Akthar’s latest SUV is Jeep Compass’ BIG brother! 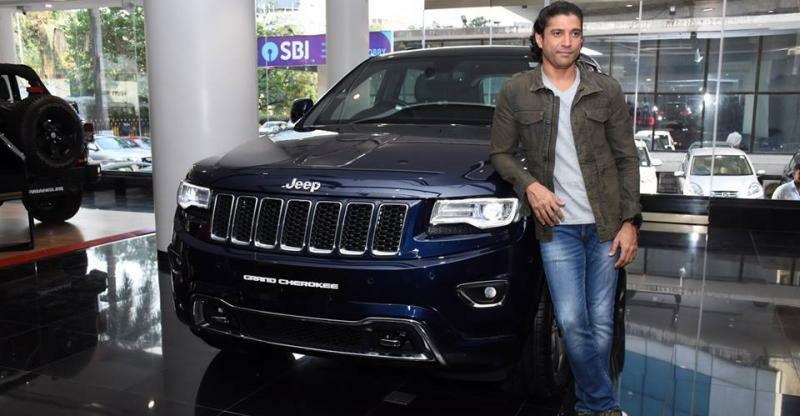 Bollywood actor, director and singer Farhan Akhtar is the latest celebrity to drive home a Jeep. 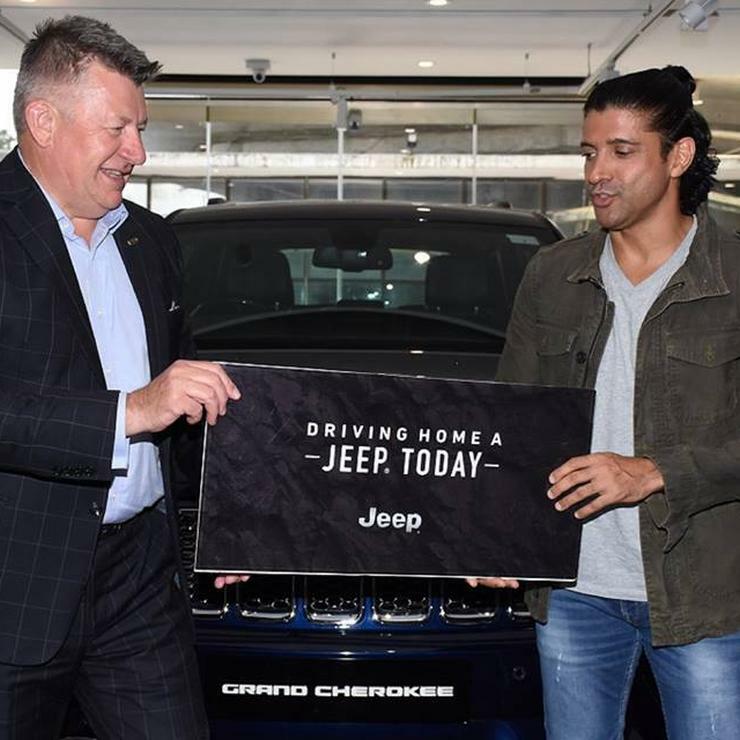 The MD of Fiat Chrysler Automobiles (FCA) India handed over the keys of a brand new Jeep Grand Cherokee luxury SUV to Mr. Akhtar, who also owns a Range Rover as one of his many luxury rides. The Grand Cherokee is the Jeep Compass’ big brother so to speak as it’s the range topping SUV in the American SUV maker’s global line up. Prices of the Grand Cherokee start from Rs. 75.15 lakhs, ex-showroom India. Jeep imports this SUV through the completely built unit (CBU) route, and the vehicle’s primary purpose in India is to build the Jeep brand. This explains the high price at which the 5-seat, luxury SUV retails in India. It’s unclear as to which variant of the Jeep Grand Cherokee Farhan Akthar has chosen. The SUV is offered in three regular variants: Limited Petrol, Limited Diesel and Summit Diesel. The petrol variant uses a 3.6-litre V6, naturally aspirated petrol engine that puts out 285 Bhp of peak power and 347 Nm of peak torque. An 8-speed automatic gearbox is standard, and so is a four wheel drive layout. The diesel engine is also a V6 unit, but gets turbocharging and has a lower displacement of 3 litres. The diesel motor produces 240 Bhp of peak power and 570 Nm of peak torque. Like the petrol motor, it gets an 8 automatic gearbox as standard, along with a four wheel drive transfer case. For those who really want a Jeep with sportscar-beating performance, they need to look at the big daddy of the Grand Cherokee range – the SRT version. The Grand Cherokee SRT uses a 6.4-liter V8 petrol engine that outputs 468 Bhp of peak power and a tyre shredding 624 Nm of peak torque. This engine gets the same 8 speed torque converter gearbox and a four wheel drive layout as the other Grand Cherokees but the real deal is in its acceleration and top speed. The SRT can hit 100 Kph from rest in less than 5 seconds. Top speed? 250 Kph. « From practical to utterly impossible, some wild Royal Enfield modifications to drool over!